Welcome to the city of Tribane, you can come in any time you like but you can never leave. Fearing Ethan’s transformation, Finn has decided to escape the city with his friends in tow. Unfortunately, a magical barrier has been erected preventing anyone from leaving. Along the way, he makes the acquaintance of a runaway half elf named Allora. While Finn takes her under his wing, he finds that his feelings for Tegan are fading as a new love blossoms. Tegan is learning that it’s not all fun and games being with the most powerful vampire in the city. For one thing, there seems to be a catastrophe around every corner, and for another, how can a relationship between a human and an immortal actually last? In anticipation of Theodore’s next move, the group cast their prejudices aside and join forces once more. They know that they must put an end to the sorcerer if the city is to have any chance of surviving, but Tegan is still determined to save Rita. The thing is, she doesn’t know if it’s possible to take down Theodore without destroying her best friend in the process. 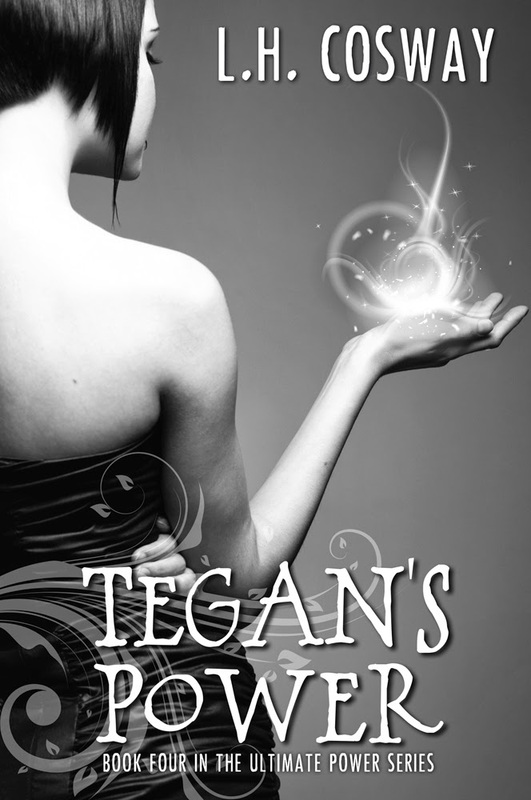 Tegan’s Power is the concluding installment in the Ultimate Power Series and is told from the dual POV of Tegan and Finn.